RainMaker Irrigation, LLC. began back in 2001. Since then, we have grown as our Oakland County, MI irrigation company has become the knowledgeable experts to call on for all types of terrific outdoor services including seasonal cleanups. You’ll be amazed at how perfect your yard looks whenever we’re through with it. Our landscape crew does seasonal cleanup that includes fall and spring cleanup. Our cleanups start in the backyard where we remove any debris left behind from winter. You won’t have any hazards in your yard when were through. If your focus is on spring cleaning this year, inside of your home, then you should hire experts who are experienced in cleaning up the outside as well. We can help to make your outdoors healthier and appealing. Most of our customers come to us because they feel there is no hope for their property after a harsh winter or extreme summer. Extreme temperatures are known to kill off trees, grass, and flower beds. We can remove the debris to your composting area keeping those areas growing healthily. We can improve the look of your landscaping. Our landscapers in Oakland County take all jobs seriously big and small. Let us know what you need done and we’ll do the rest. You can trust and depend on our landscapers to be there whenever you need us. You’ll never feel like there’s no hope for your landscaping as long as we’re around. Call us today and let our professional landscapers make your outdoors appealing to everyone on the block and in the entire neighborhood. No matter what area you live, just know that we’re the company that you can trust. We have been making yards beautiful since 2001 and want to makes yours. So don’t try and take care of your own landscaping. 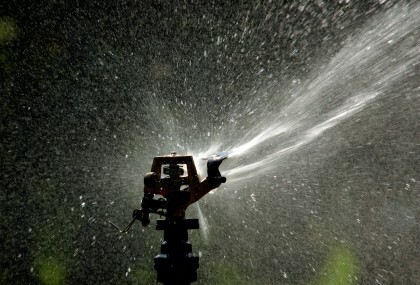 Let our Oakland County irrigation experts handle it. You’ll feel better about the fate of your property, we can guarantee that as we can develop a plan for your landscaping that will keep it healthier for years to come. If you are looking for irrigation experts in the Oakland County area please give us a call 734-564-1373 or complete our online form.